The Sydney Morning Herald recently reported on how the economic centre of Sydney is being drawn away from the CBD (check out the article here). Senior writer Matt Wade shared that this shift has been occurring over the past decade. 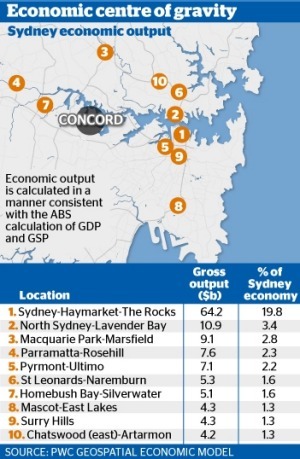 The article also recognised that Sydney’s sprawl is slowing and that PricewaterhouseCoopers identified the Auburn area as Sydney’s population centre, right where Sydney Olympic Park is. An article titled “Sydney Olympic Park: how the west has won” that came out last year also identified the Park’s significance as an economic hub. ‹ Ask a Park Ranger…can I bring a BBQ?